Maximum protection, minimum fuss. The Men's Original Short Wellington Boot takes the iconic design of the Tall Boot and scales it down for a versatile and comfortable style. From jeans to chino's styling is easy thanks to the mid-calf height. Formed of natural rubber, each boot is handcrafted and assembled over three days before being vulcanised for superior protection. 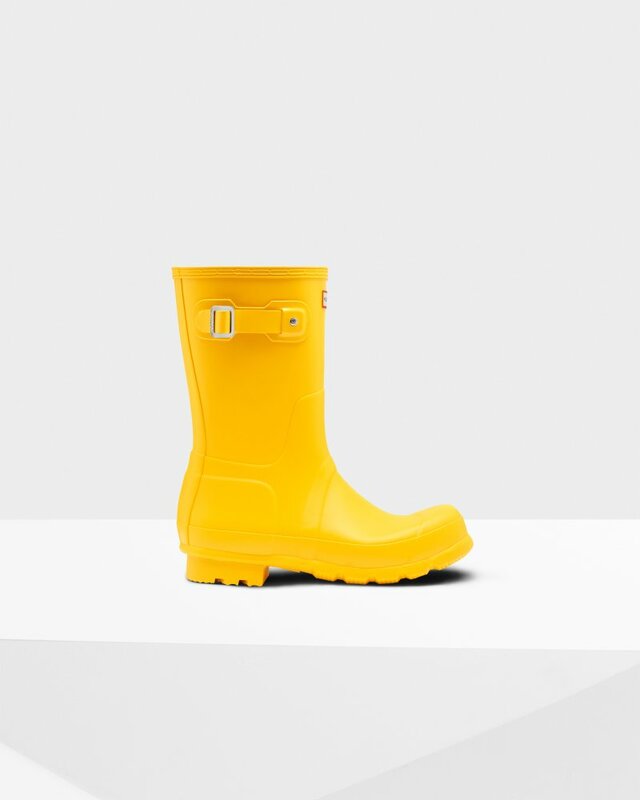 Featuring the Hunter Original tread pattern, and a comfortable polyester lining, this bright yellow waterproof boot is an everyday essential.